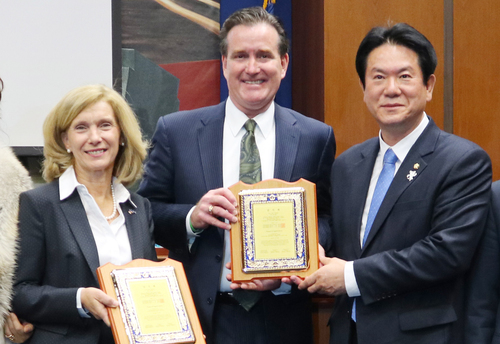 Expressed “Love and support for Taekwondo to President Lee Dong-sup of the National Assemblyman Taekwondo Federation Assemblyman Lee Dong-sup, an administrator of the National Assembly Education, Culture, Sports & Tourism Committee, expressed that he’d received positive response on maintaining official Olympic sports status for Taekwondo from President Thomas Bach of the International Olympic Committee (IOC) at the breakfast social gathering with President Thomas held at the National Assembly Saranjae hosted by National Assembly Moon Hee-sang in the morning of the 4th. 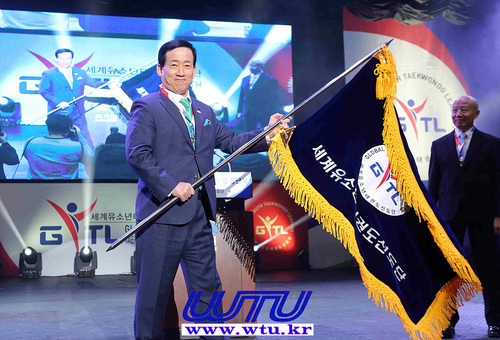 To this, President Bach responded, “I’m aware of the globalization and excellence of Taekwondo more than anyone else. 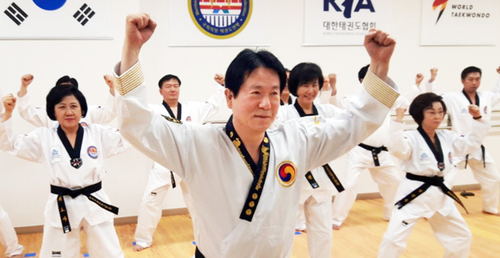 I also know that Assemblyman Lee Dong-sup is certified 9thdan in Taekwondo. 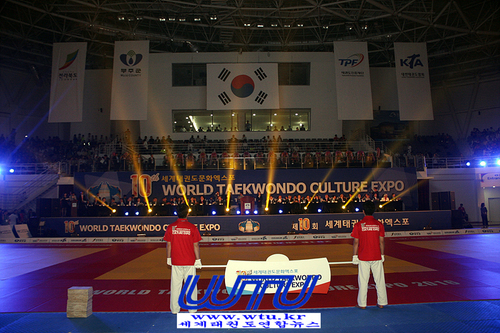 Taekwondo is in the limelight from the world as an excellent martial arts sports. 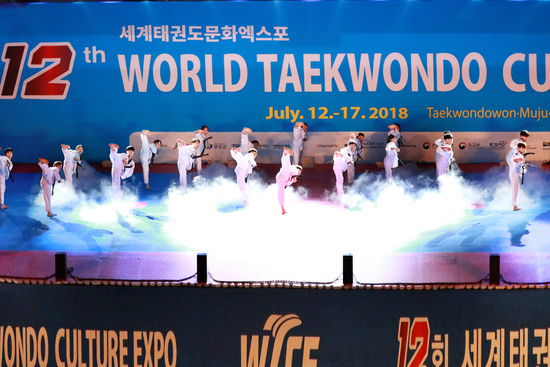 Especially as it was selected as an official sport for the 2024 Paris Summer Olympics, As long as we grow strength for the future of Taekwondo, there’s no need to worry much about maintaining official Olympic sports status and competitive sports,” and emphasized the status and potential of Taekwondo in international sports world. 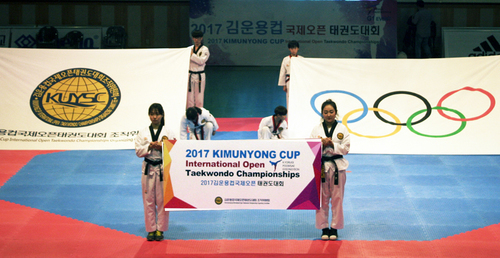 Meanwhile, about 20 individuals including National Assembly Moon Hee-sang, Kim Representative Kwan-young of Baereunmirae Party, President An Min-suk of National Assembly Education, Culture, Sports & Tourism Committee, Administrator Lee Dong-sup, Minister Jong-hwan of Ministry of Culture, Sports and Tourism, Seoul City Mayor Park Won-soon, Former IOC member Park Yong-sung, IOC member Yoo Seong-min, President Lee Ki-heung of Korean Sport & Olympic Committee have gathered at the breakfast social gathering to discuss the role of international sports and Olympics for the promotion of peace in the Korean Peninsula. 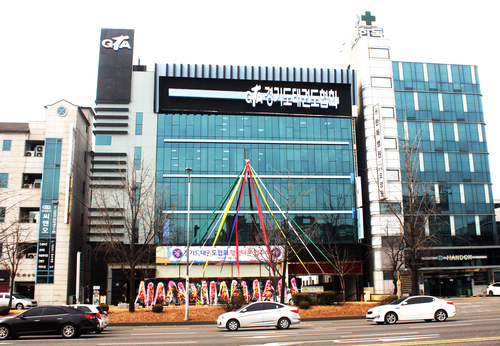 국회 문화체육관광위원회 간사 이동섭 의원은 4일 오전 문희상 국회의장 주최로 국회 사랑재에서 열린 토마스 바흐(Thomas Bach) 국제올림픽위원회(IOC) 위원장 초청 조찬 간담회에서 바흐 위원장으로부터 태권도 올림픽 정식종목 유지에 대한 긍정적인 답변을 얻었다고 밝혔다. 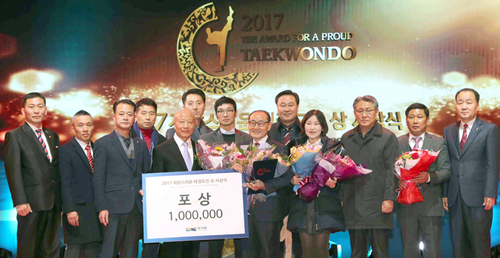 이동섭의원은 이날 간담회에서 바흐위원장에게 “태권도는 세계 209개국 1억 5천만 명의 수련생을 보유한 세계적인 스포츠로 자리 잡았으나, 올림픽 정식종목을 놓고 일본의 가라테와 경쟁관계에 놓여있어 IOC의 태권도에 대한 사랑과 관심이 필요하며, 특히 바흐위원장의 지지가 절실하다”고 요청하였다. 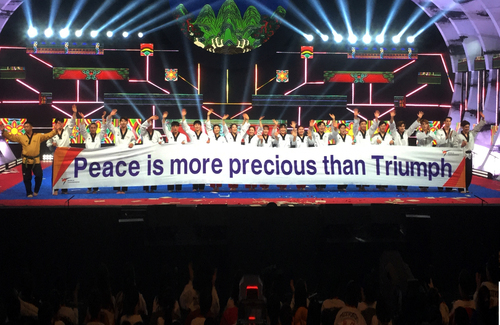 이에 바흐위원장은“태권도의 세계화와 우수성은 누구보다 잘 알고 있다. 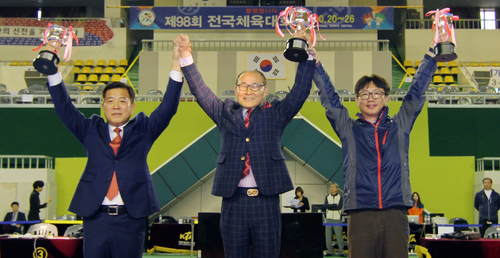 이동섭 의원은 태권도 공인 9단이나, 본인은 과거 태권도 명예 10단 단증을 받았다”고 간담회장 분위기를 띄우며 “태권도는 우수 스포츠로 이미 전 세계인으로부터 각광받고 있다. 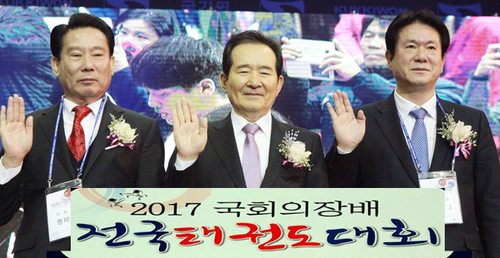 특히 2024년 파리 하계올림픽 정식종목으로 채택이 된 만큼 태권도 미래를 위해 힘을 길러간다면 경쟁종목은 크게 걱정하지 않아도 될 것”이라 답하며 태권도의 국제스포츠계에서의 위상과 저력을 강조했다. 한편, 이날 조찬간담회에는 문희상 국회의장을 비롯하여 홍영표 더불어 민주당 원내대표, 김성태 자유한국당 원내대표, 김관영 바른 미래당 원내대표, 안민석 문화체육관광위원회 위원장, 이동섭 간사, 김영주 위원, 염동열 위원, 도종환 문화체육관광부 장관, 박원순 서울시장, 한병도 대통령정무수석비서관, 박수현 의장 비서실장, 박용성 前 IOC 위원, 유승민 IOC위원, 이기흥 대한체육회장, 이희범 평창동계올림픽 조직위원장 등이 함께하여 한반도 화해 촉진을 위한 국제스포츠와 올림픽의 역할에 대해 논의하는 자리를 가졌다.